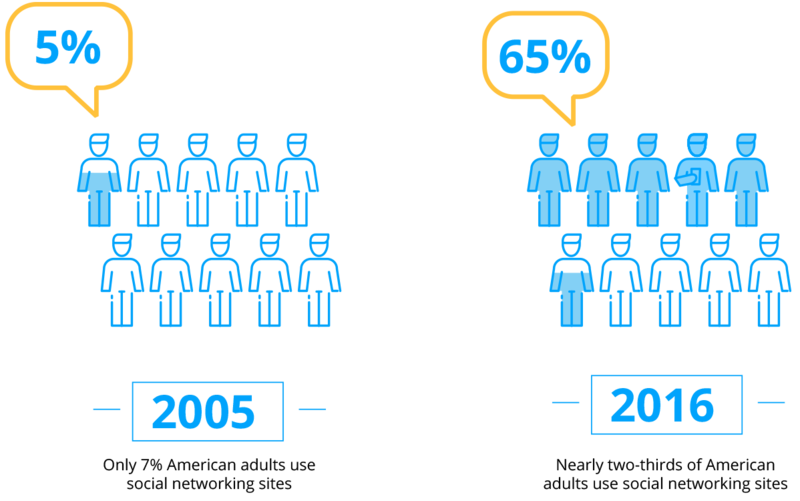 Workforce demographics are changing. Each successive generation from Gen X onward has been more and more discerning about how their employers talk and listen to them. They have less time for office politics and they demand increased collaboration, transparency, and feedback. They're working differently, and they require tools that can set them up for success in this new environment, where internal communication plays a greater role than ever before in aligning people behind common goals. 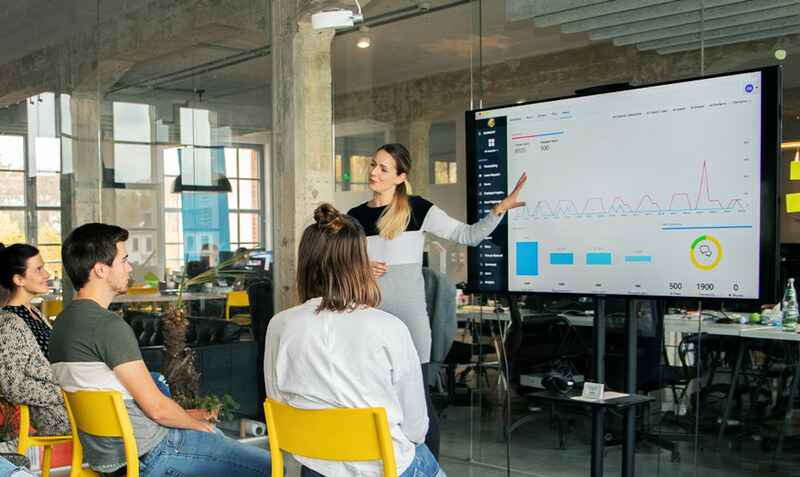 Here are seven reasons why internal communications is a key business function and is more important than ever before. As kids we would ask our parents the question “Why?” at least 250 times a day. (Sorry, Mom.) And it seems not much has changed in that department. The quest for a sense of reason and purpose has stayed with us into adulthood. This certainly applies to our working lives. As employees, we want to understand our goals, know the plans for getting there, and be confident about the value of our contributions toward those plans. We want to feel valued, listened to, and part of the team. This is especially true for millennials and Gen Z, who rely heavily on feedback and interaction. Having grown up in the age of social media, they're used to a constant flow of likes, sharing, and comments. But purpose isn't limited to showing employees their goals; it also includes visualizing the actions that each and every person can take in order to contribute. For example, it's highly effective and motivating to regularly post and share information about what a team or a company has achieved. Reaching set goals together increases the feeling of teamwork and progress. Create great goals that are SMART: Specific, Measurable, Attainable, Relevant, and Timely. 73 percent of employees who say they work at a "purpose-driven" company are engaged, compared to just 23 percent of those who don't. In addition, a recent global survey of 26,000 LinkedIn members, taken by the research firm Imperative, found that 73 percent of its participants want a career in which they feel that their job matters. Employees should never learn about important company news from an external source. But having news and information easily accessible on our smartphones and in other mobile channels anytime and anywhere is a situation that intimidates many companies. The only way to deal with it is by learning to match and even exceed that external speed and to make internal points of view readily available—not just during times of crisis, but also in day-to-day operations. First, a well defined but flexible and fast editing process with a short approval chain up and down the hierarchy. Designing such a structure is similar to the challenge companies faced a few years ago when they had to define processes for social media to respond to a critical tweet within minutes or hours—not days. And second, organizations need to establish fast, interactive, and reliable channels to reach all employees. Fast and interactive means digital—and today digital means mobile. As in many other cases, a combination of new procedures, skills, and technologies are needed to create trust and transparency. This enables companies to remain in control of the messages they send, instead of leaving information susceptible to individual interpretations. Most companies cascade information top-down through their hierarchies. The trickle of information often results in delays, limited feedback, and a complete dependence upon the individual communication efforts of each person in the chain. Plenty of messages are going out—the problem is that most of them aren’t reaching the people who actually do the work. Internal communication can make this chain much more effective. Empowering middle management at all times with the required resources and information available will allow them to be the best possible leaders and communicators for their staff. In addition, providing information that isn't team-specific through a location-wide or central communication channel will lighten the burden on middle management. Internal communication presents a valuable opportunity for companies to understand their workforce better and, in doing so, train better managers. This is especially important for millennials, since they often feel ill-equipped for their new roles. 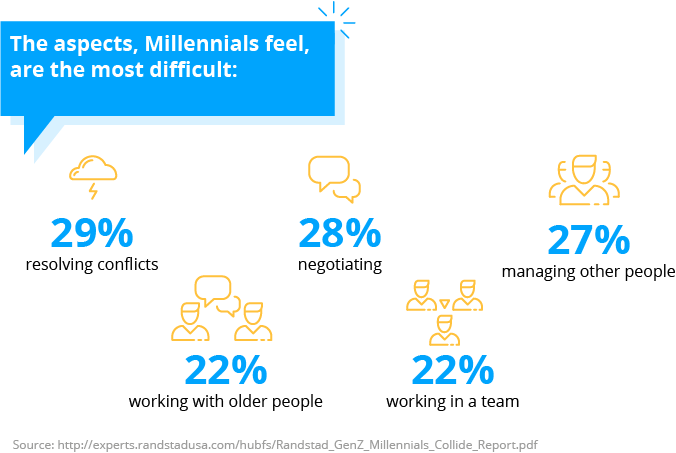 Although millennials have the highest number of college graduates according to a recent Randstad and Future Workplace study, many feel unprepared to solve conflicts, negotiate, and manage other people. They believe they lack the required soft skills and aren't capable of overseeing older generations. Good internal communication helps on several fronts, not only to better understand a workforce, but also to enable two-way conversations. Your customers expect your brand to keep its promises. Always. This is true for consumers and business customers alike. How do companies make sure that this works in a large distributed organization with hundreds or even thousands of middle managers? They do it through internal communications with your frontline employees. Clearly-communicated goals, well-trained and informed staff, and happy faces will significantly improve a customer's encounter with the brand and, it stands to reason, enhance revenue. Customer experience is the most pressing mandate for marketers. It was the top area of marketing technology investment in 2016, and it led innovation spending again in 2017. A Gartner survey has found that 89 percent of companies were expected to compete mostly on the basis of customer experience, versus 36 percent in 2013. In addition, 50% of consumer product investments are being directed to customer experience innovations. Great brands are built from the inside out. Start with your employees and their satisfaction and confidence will be mirrored directly onto your customers. Timely and careful communication is key to mastering an internal or external crisis. The way that your employees and external stakeholders view an incident (negatively, neutrally, or positively) is a major factor in whether or not the incident develops into a full-blown crisis. However, internal crisis communication research has found that managers often communicate significantly less with employees during a crisis. 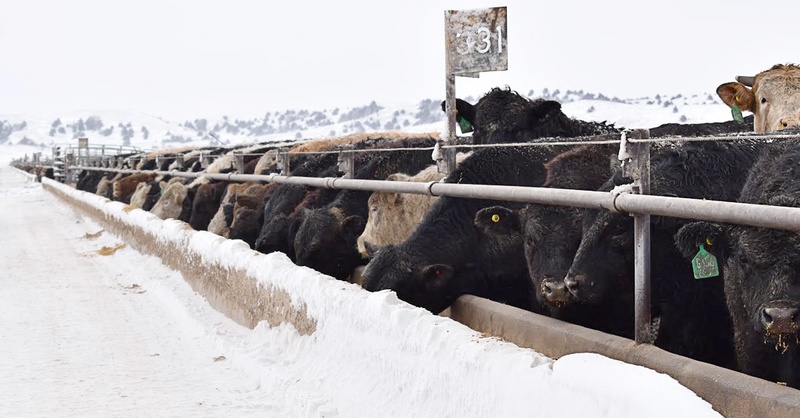 The mobile communications app of Nebraska's Adams Land & Cattle has become an instrumental piece of their crisis-intervention planing, particularly with regard to weather. Not only can internal communication help you steer people's perceptions about a situation, but it also supports short- and long-term crisis management. Short-term management addresses the incident itself, while long-term plans are more focused on preserving the company's reputation and enacting measures in order to prevent negative situations from repeating. By putting organizational structure, plans, and channels in place before a crisis hits, internal communication will allow you to handle crisis situations, no matter the size, reputation, or industry of your company. A better work environment will help companies on two fronts: Avoiding high turnover rates, and attracting new talent. Turnover rates are increasing and cost the American economy $3 billion annually. Millennials in particular are known to job-hop. Up to 40 percent say they're willing to change their position within the next two years. It’s now the company’s job to make them stay. 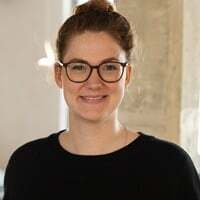 "Good internal communication provides constant feedback and purpose which increases employee engagement which in turn decreases turnover rates, ultimately saving the company money." Whether you're trying to attract talent or retain it, employees need to know their employers. A well-functioning internal communications system and the open work environment it creates will give your company an edge in today's highly competitive market. Ultimately, there's no better advertisement for your brand than happy employees and happy customers. Informal communication has its advantages and disadvantages. 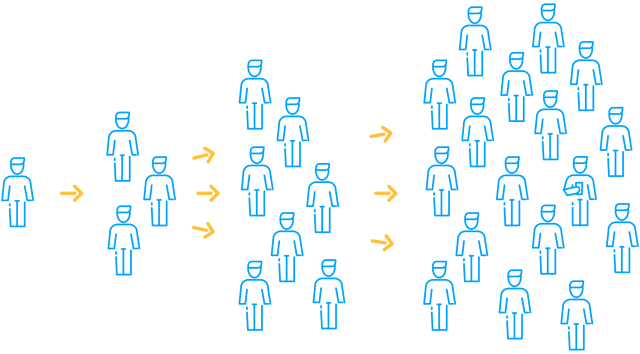 Grapevine word-of-mouth can sometimes help employees to interpret managerial information; it often reaches those who might have otherwise missed the original transmission; and it's more flexible than formal communication. In addition, the grapevine helps to improve relationships between employees and it spreads knowledge and tips that can make work more effective. On the other hand, informal communication can distort the meaning of information; it supports rumors and misunderstandings; and it's difficult to control. Good internal communication can help increase the advantages of informal communication. It will slow down the rumor mill by communicating frequently and immediately, and it will help employees to interpret information as well as instructions. Employees put a high premium on transparency in their interactions with different levels of management, going as far as naming it the top factor in determining their happiness and satisfaction in the workplace. Providing both—a rumor-free environment and transparency—is central for a generation of employees (and customers) who are skeptical to the core. Effective internal communication is a powerful force that leads to a 40 percent increase in customer satisfaction, a 30 percent increase in profitability, and a 36 percent increase in the overall performance of a company. Talking to employees no longer plays second fiddle to external communications. It’s a key business function that inspires and aligns your whole organization. Internal communications professionals need to raise the bar and confidently put their ideas on the boardroom agenda. A 2016 Internal Communication Survey found that IC budgets are more likely to be growing than shrinking in the years to come. In fact, 87 percent of the participants expected budgets to either remain at present levels or increase. 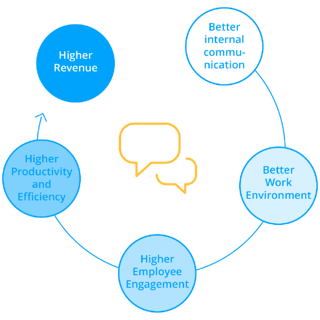 With the top-down communication hierarchy slowly unraveling and younger generations moving in, internal communication and employee engagement are two topics that should be at the top of every company's list of priorities. How is your organization dealing with the changes in internal company communication? Drop a comment in the section below. We'd love to hear from you!